Brian was born and raised in East Lansing, Michigan. He grew up playing soccer and basketball in high school, while running for the track team in the off season. He is a graduate of Michigan State University. While his personality is easygoing, his workout programs are anything but. 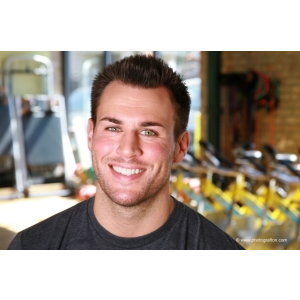 He enjoys high intensity interval training, plyometrics, and focusing on full body functional movements such as squats, lunges, dead lifts, push-ups, pull-ups, and core stabilization using the TRX. When he's not training, he enjoys mountain climbing, playing basketball, wakeboarding, snowboarding, writing and recording music, and playing with his dog Bumper. Every effort has been made to ensure the accuracy of the information in this directory. However some changes may occur between updates. Please check with your provider to ensure that he or she participates in your health plan.